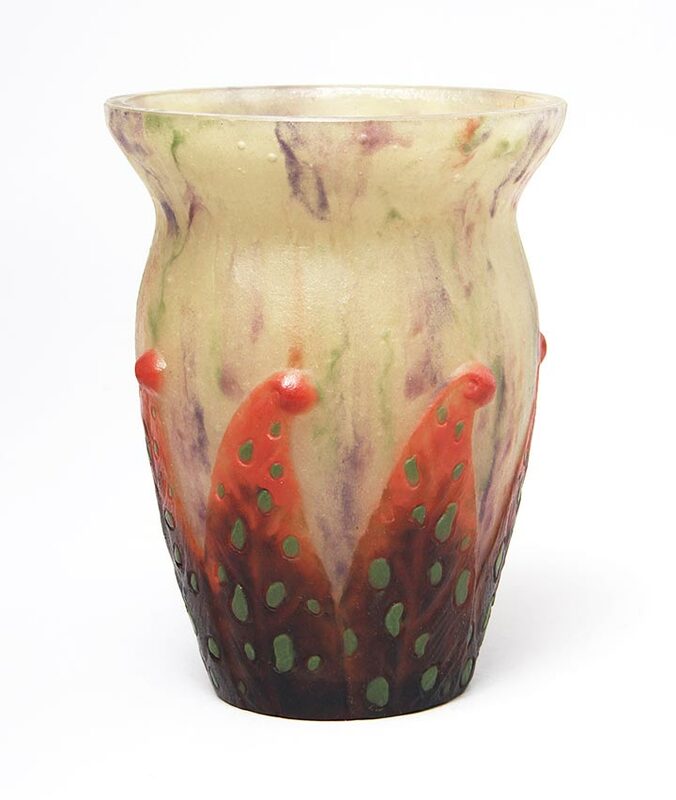 The name of this pattern is Speckled Leaves -- a rare Argy-Rousseau pâte-de-verre vase with rich color and beautiful decoration. 6½" tall. Signed. Mint condition. 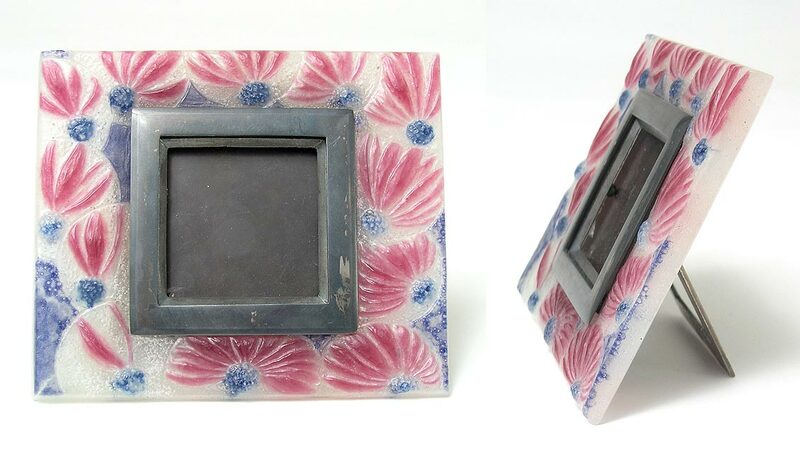 This Argy-Rousseau pate-de-verre night light was difficult to photograph. It looks totally different, lit and unlit. 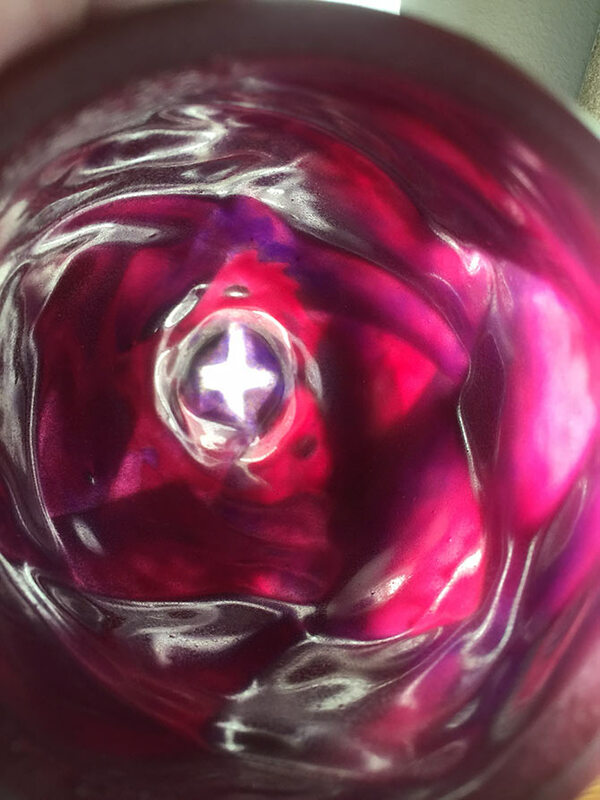 It's a beautiful fuchsia color. I've taken a couple of daylight photos of the interior, so you can see how stupendous it really is. 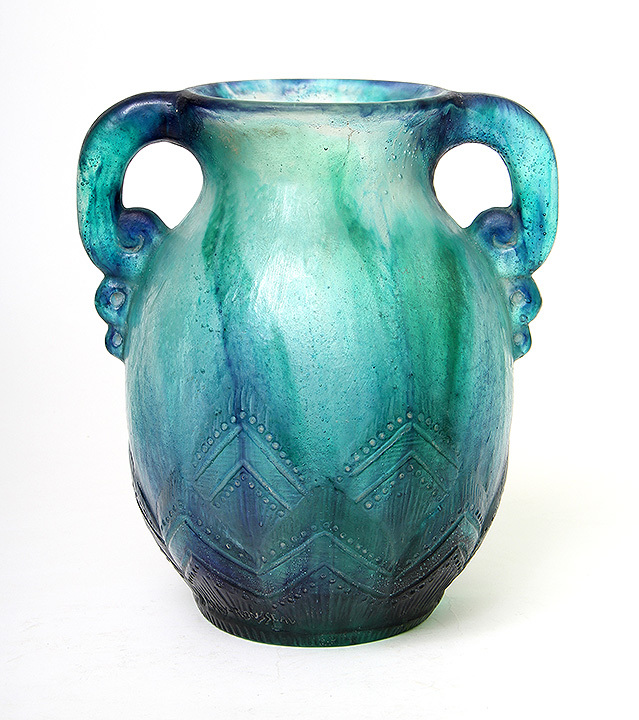 This ultimate Art Deco design is called Modern Foliage and was done in 1925. 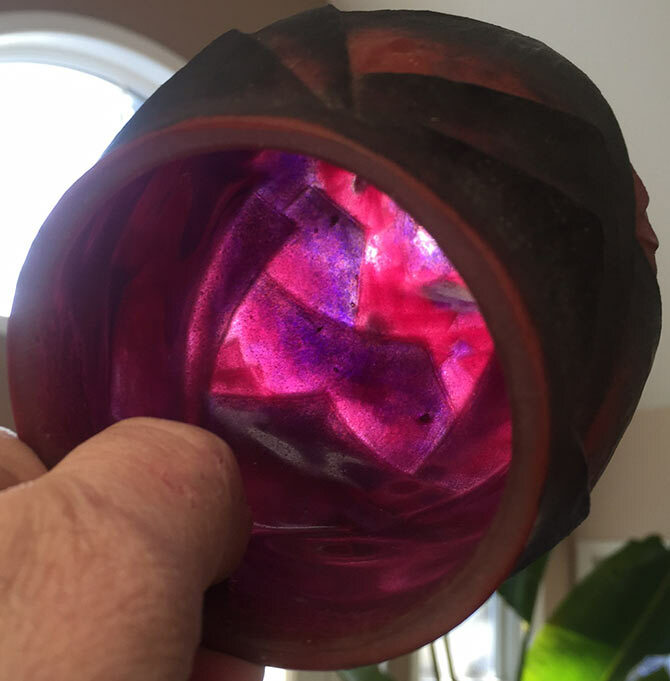 It's one of the most beautiful Argy lights I've ever had, bar none. Signed. Mint condition. 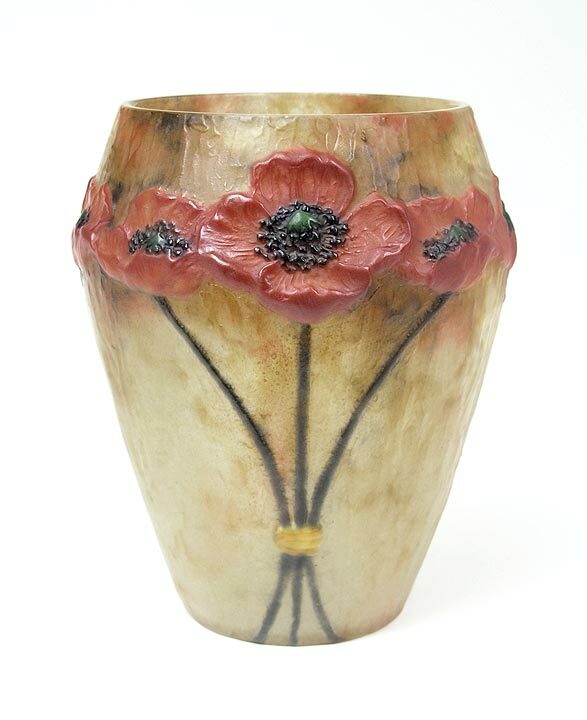 You couldn't ask for a better example of this Argy-Rousseau Anemone vase. The color is fabulous. 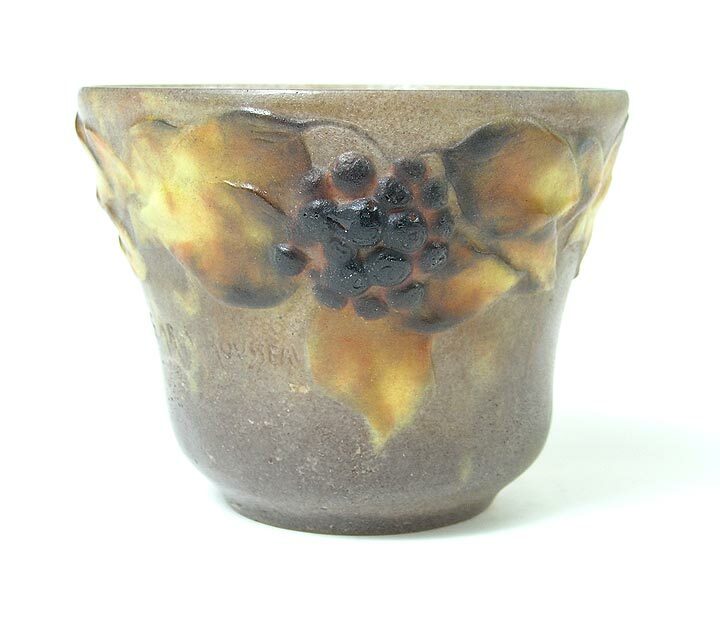 3" tall x 4¼" diameter. Signed. Mint condition. 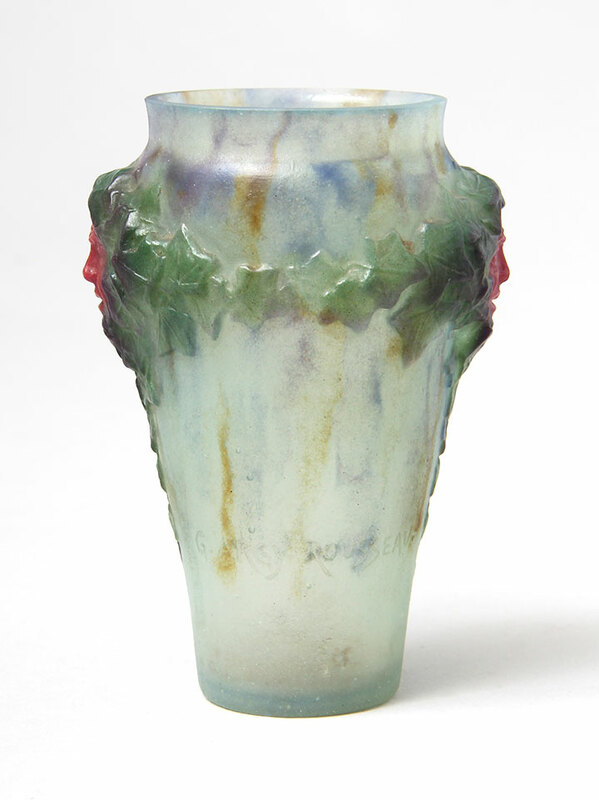 The lovely green pastel colors on this petite Argy-Rousseau pate-de-verre vase are delightful. The pattern is called Anemones. I've had it a number of times before, but never in this charming color combination. 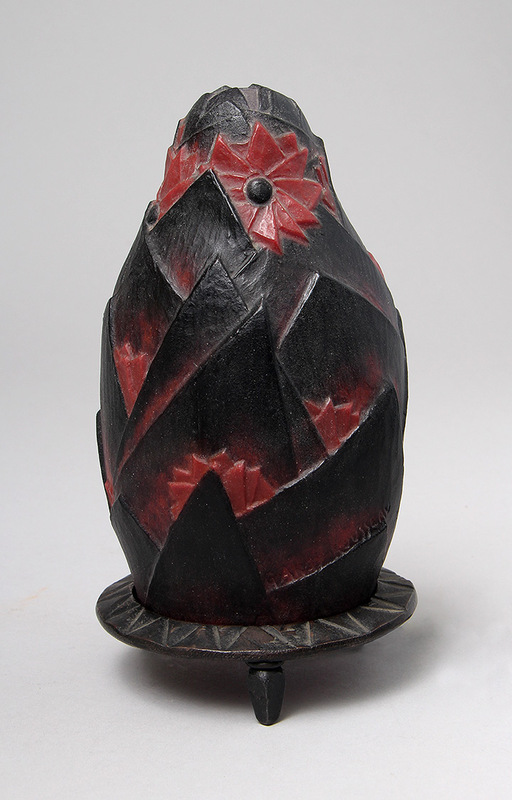 3" tall x 4½" diameter. Signed. Mint condition. 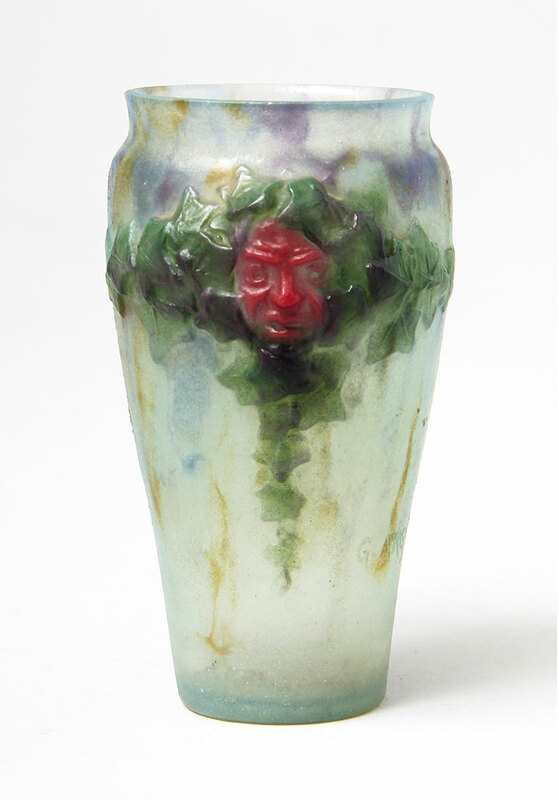 Rare, large, impressive, colorful pâte-de-verre vase, entitled "Feuilles de Chandons" and illustrated as figure #27.01 in the Argy-Rousseau catalog raisonné. 9½". Signed. Mint condition. I don't suggest using this as an ashtray anymore, but that was the original intention. 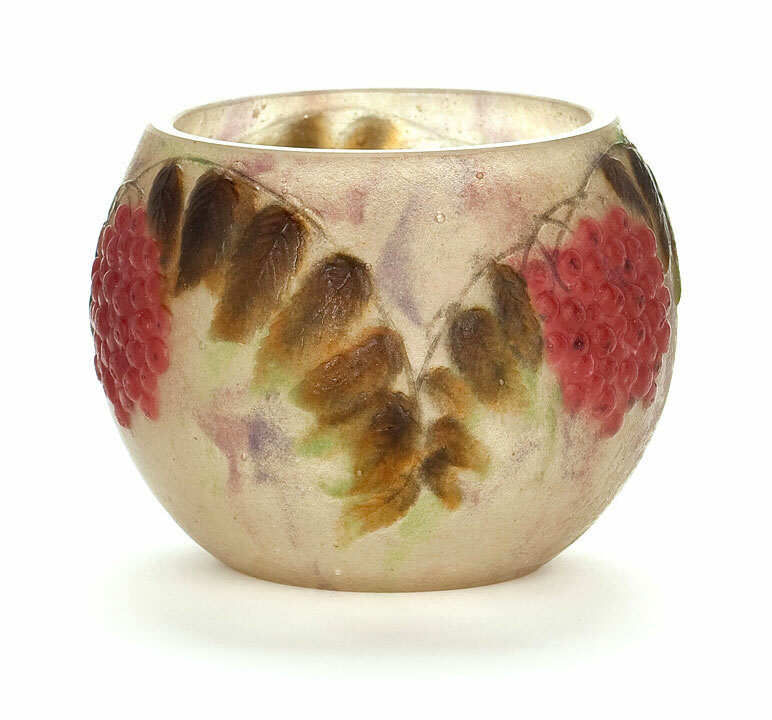 Argy-Rousseau made beautiful Art Deco pate-de-verre objects and this one is no exception. The colors are great and the Art Deco profile in the center is exceptional. 6½" long. Signed. Mint condition. Is this vase killer, or what? Argy-Rousseau gave it the name Feuillages Moderne et aux Fleurs. The design is high Art Deco, as it was done in 1925. The color is astonishingly beautiful. Very nice size at 10¼" tall. Signed. Mint condition. For the best collections! 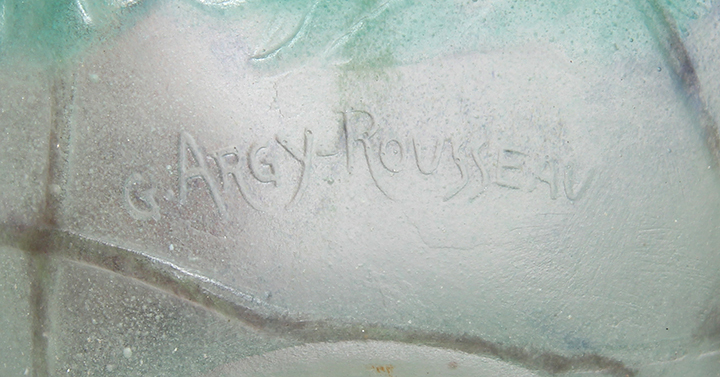 This is the first time I've ever seen or owned an Argy-Rousseau frame. It's fabulous. Superb color and workmanship. I really love this frame. 4¾" wide x 4" tall for a 2" square picture. Signed. Mint condition. 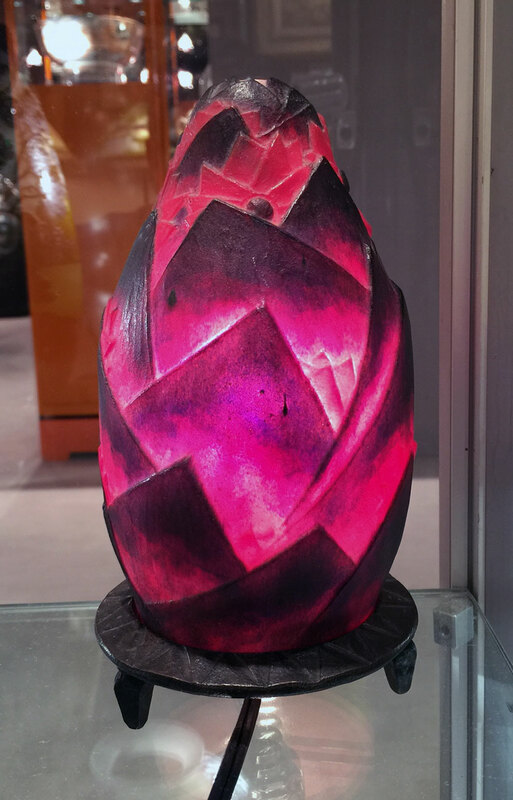 Fabulous color on this Argy-Rousseau pate-de-verre geometric vase. Really nice size at 10" tall. Mint condition except for one very small open bubble near the foot (original to the making and only mentioned for accuracy.) Signed. Hydrangea is a beautiful flower that I grow in my garden. 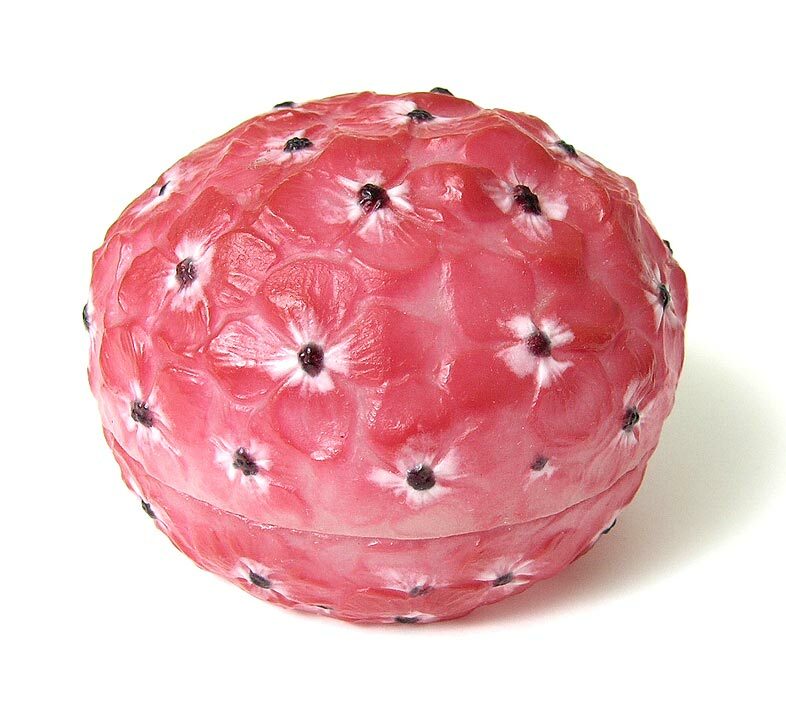 The hydrangea box comes in a variety of colors. This is the most beautiful example I've seen. 4" diameter. Pristine condition. Signed. 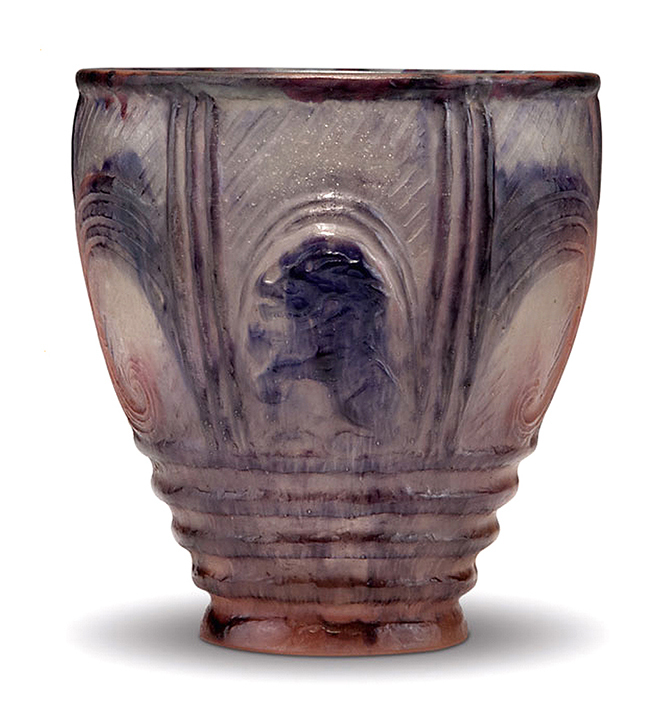 Lierres vase "Lierres". Beautiful color and condition. 3¼" tall x 4½" diam. Signed. I've never owned this wonderful vase before. Argy-Rousseau called it Lion et Chouette (Lion and Owl). It's rare and beautiful. 5¾" tall. Signed. Mint condition, with some white spotting on the interior (only mentioned for accuracy). For the best collections! 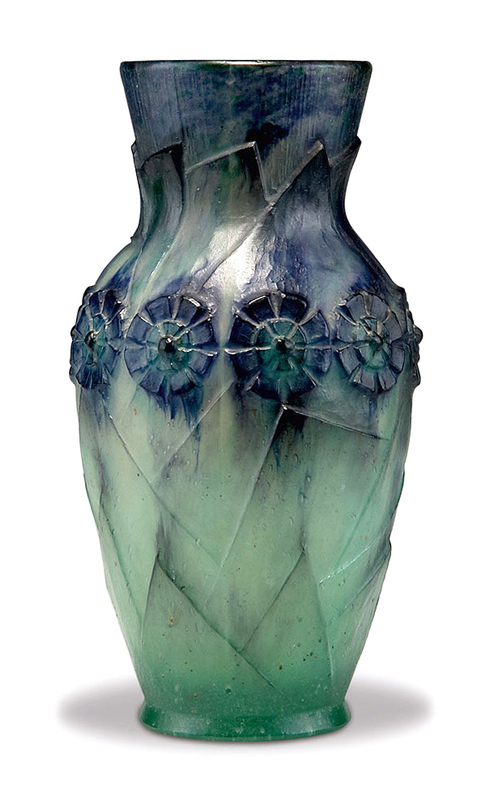 This Argy-Rousseau pate-de-verre vase is such a little beauty. It's got great color and a wonderful design. Argy-Rousseau liked masks and consequently used them on a number of different models. 4" tall. Signed. Mint condition. 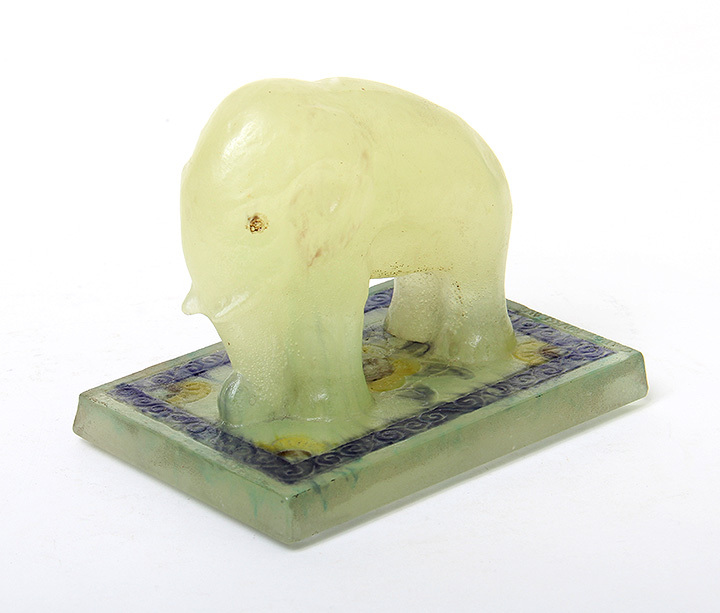 This is the first time I've seen this very rare Argy-Rousseau pate-de-verre elephant paperweight from 1928. 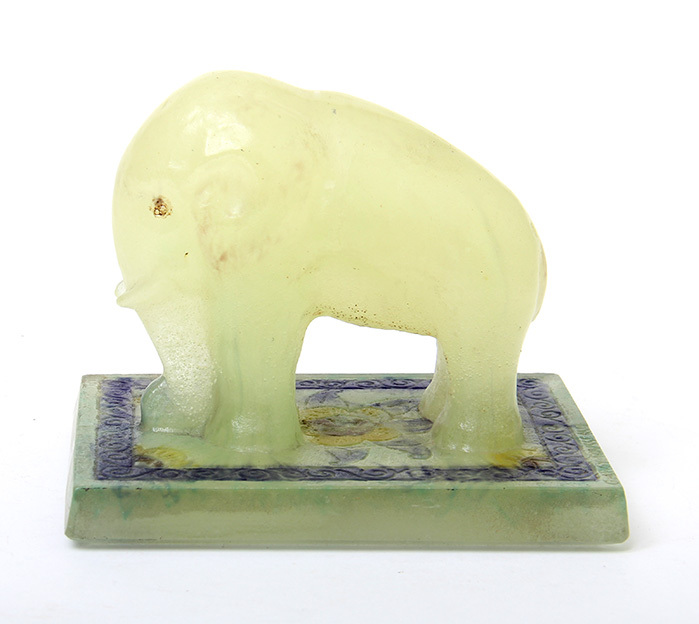 5¼" long x 4½" tall. Mint condition. Signed. 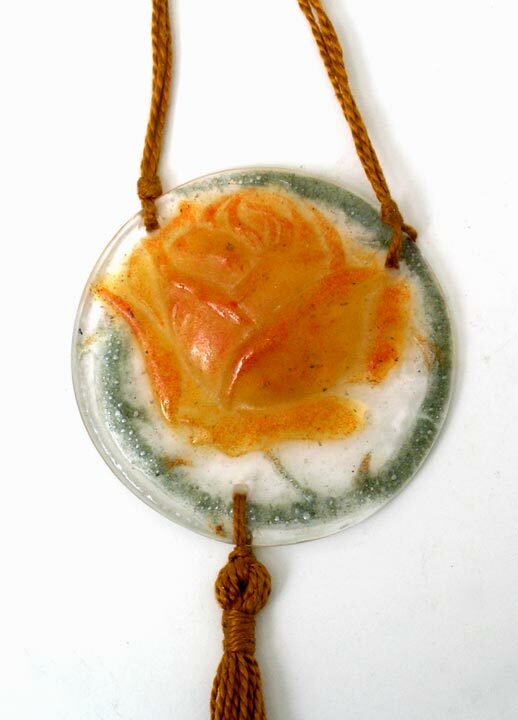 Rare and beautiful colors on this rose pendant. Mint condition. Signed. Great price. 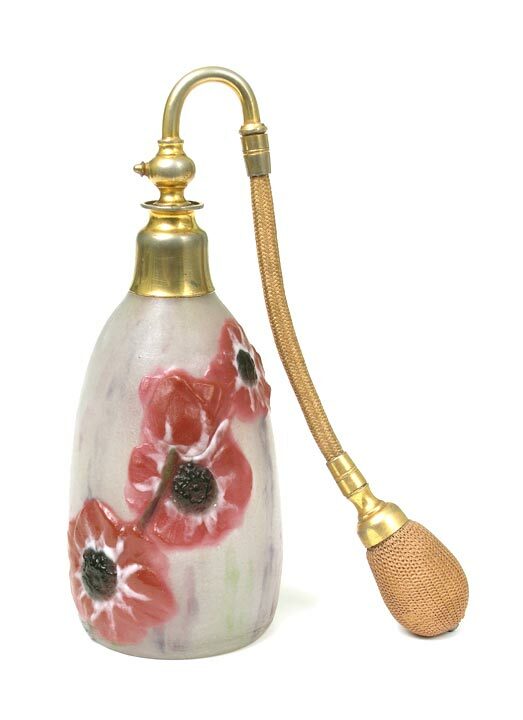 Rare atomizer in the poppy pattern. Excellent color and contrast. 8" to the top of the metal. Signed. Mint condition. 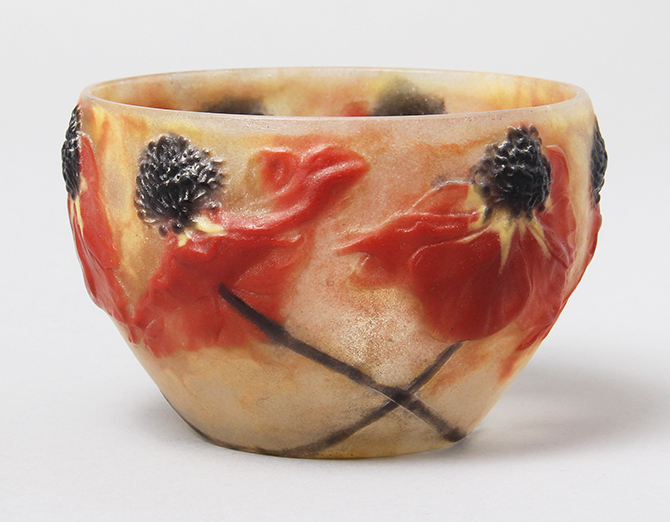 I've bought and sold this Poppy pate-de-verre model of Argy-Rousseau several times before. This example is one of the best. 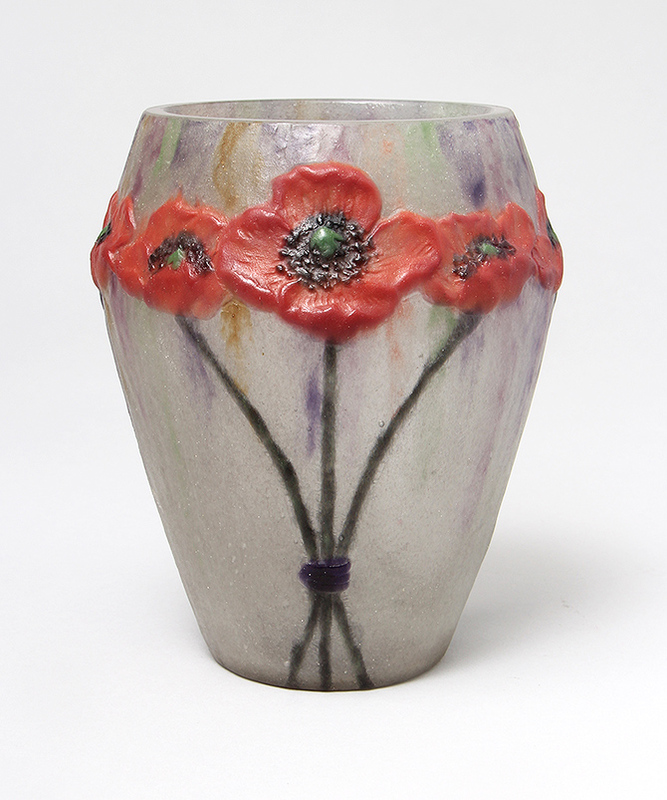 The colors are fabulous, especially the red poppies against a background with splashes of green and purple. The condition is mint -- no cracks, chips or restoration. Signed. 7¼" tall. 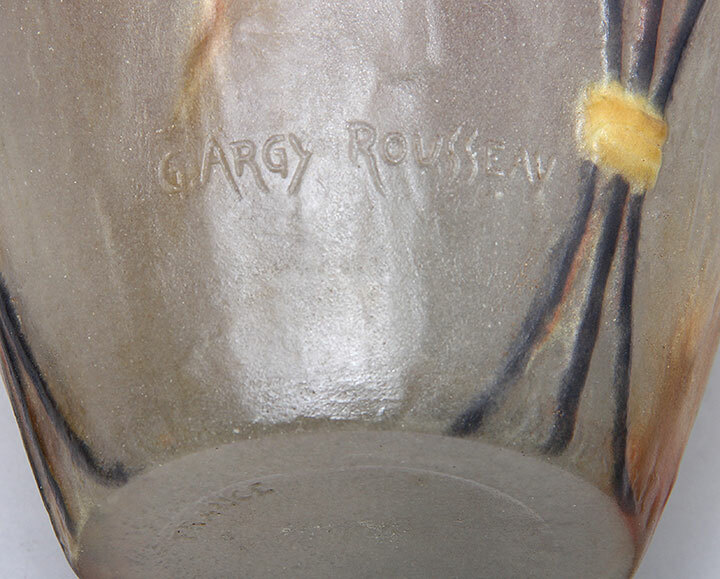 Hands down, this is the most beautiful Argy-Rousseau vase that I've had in years. Extraordinary color and condition. 7 1/8". Signed. Pristine condition. 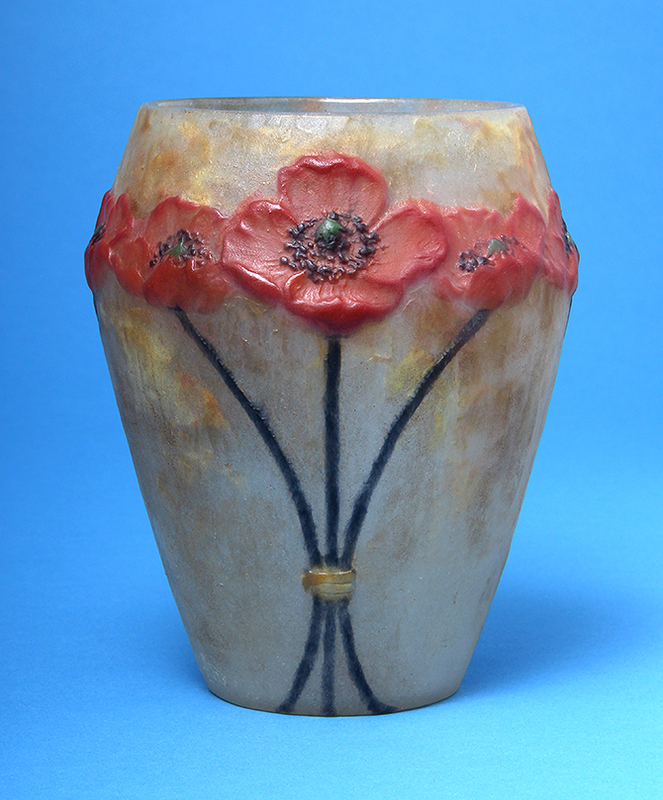 I've been lucky the last few years to be able to acquire several examples of this wonderful Argy-Rousseau pate-de-verre Poppy vase. 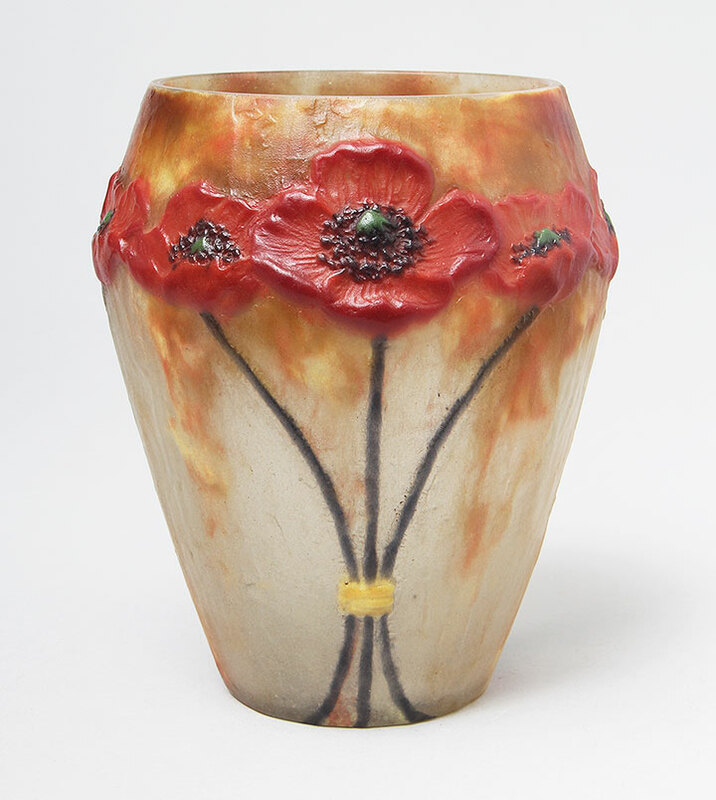 This beautiful example is one of the finest, with warm splashes of ochre and yellow perfectly complementing the red-orange flowers. 7¼" tall. Signed. Mint condition. 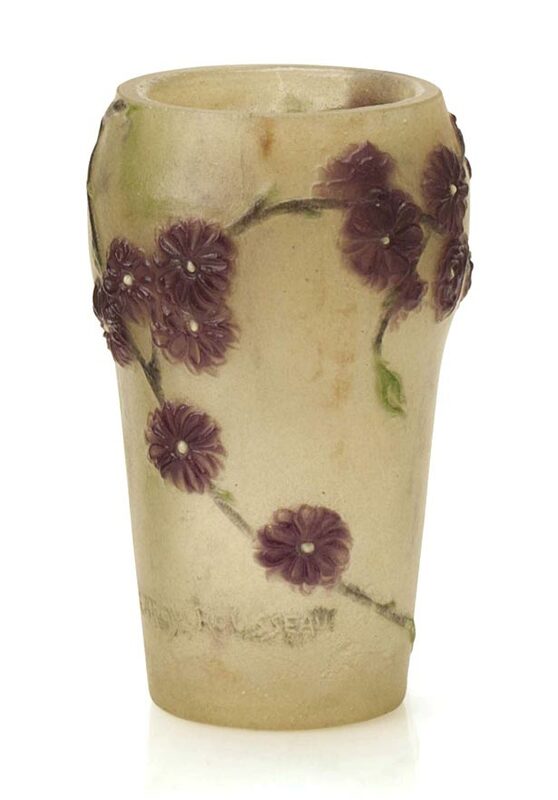 I've only owned this Argy-Rousseau pate-de-verre Poppy vase once before and sold it quickly. It's a really outstanding example of his work. Great color. 7½" tall. Signed. Mint condition. 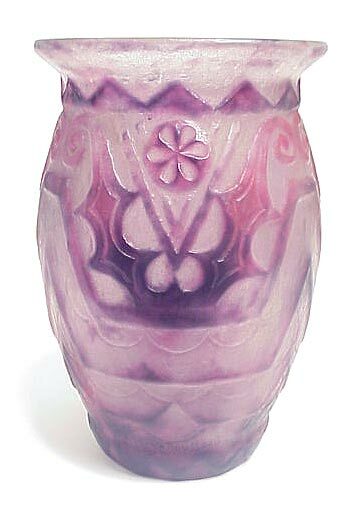 Fabulous pate-de-verre vase in the Prunis pattern. Great color. 5½" tall. Signed. Mint condition. 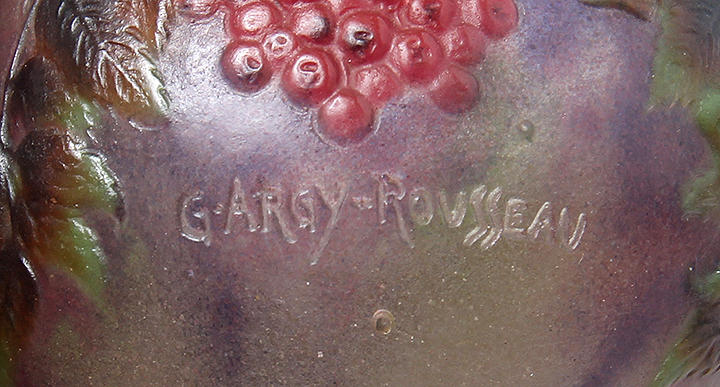 Argy-Rousseau pate-de-verre vase in the Sorbiers pattern with especially fine color in the berries. 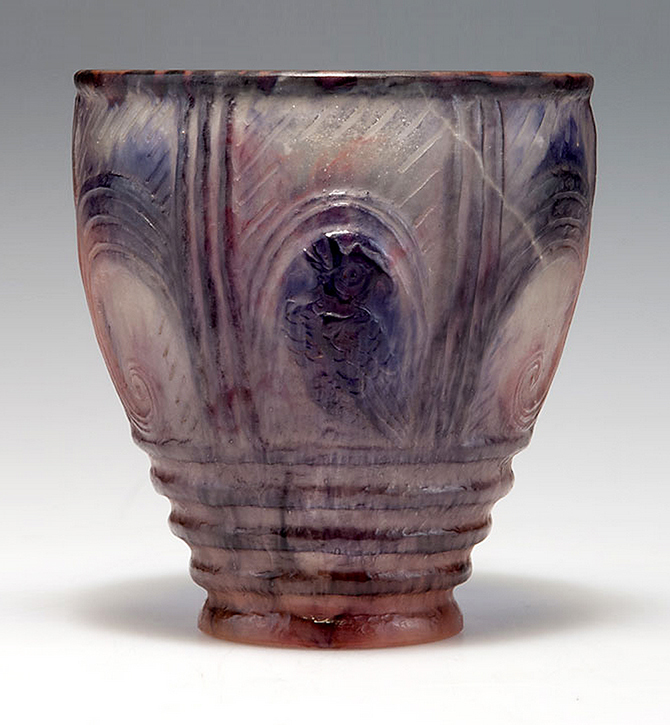 2½" tall x 3¼" diameter . Signed. Mint condition. 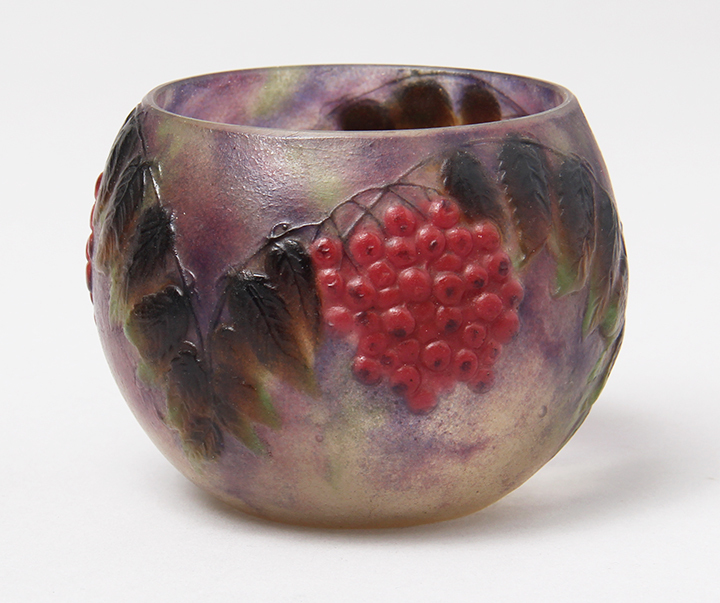 The Sorbiers pattern decorates a petite vase with colorful berries. I've owned this model before, so I can testify to the especially strong and vibrant colors of this example. 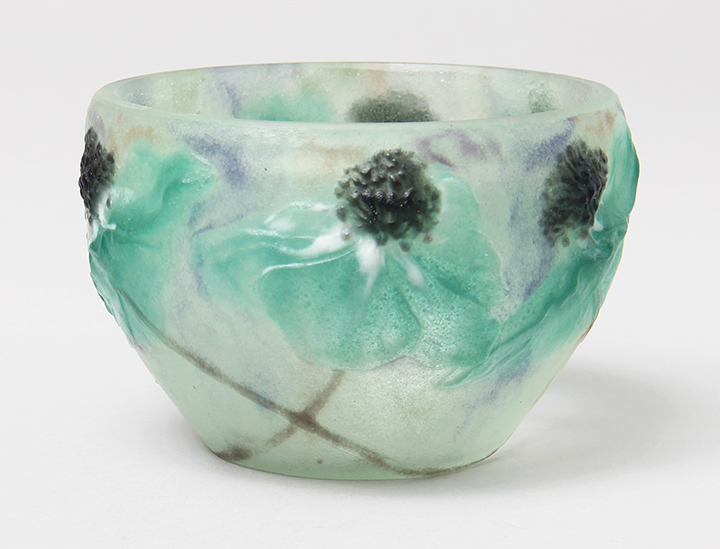 If you're looking for a small, superior example of Argy-Rousseau pate-de-verre, this is for you. 2½" tall. Signed. Mint condition.